There’s nothing like holiday celebrations to draw loved ones closer together as a family. If you’re hosting holiday dinners or parties during the season, now’s a good time to prepare your home for receiving guests. Preparing your home ahead of time will ensure you and your guests enjoy a clean and tidy environment for the holidays. A neat and tidy home makes a warm and welcoming setting for those you love. 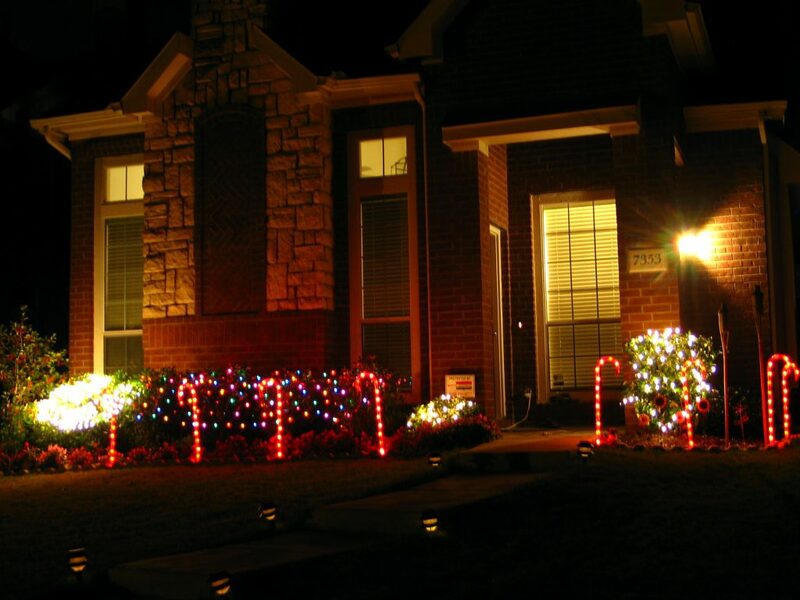 Here are a few ideas to get you started in preparing your home for the holidays. Go through your home and get rid of anything and everything that has no real use other than to clutter your property. This includes worn or outdated clothing, old electronics, newspapers and magazines, knickknacks hiding in your closet, etc. You’ll be surprised at how much extra space you have once you de-clutter. This space can then be put to good use for storing winter clothing, blankets, towels and other household goods. Your home will take on a new look just by de-cluttering. Once you’ve de-cluttered the main living areas of your home, start on your garage, basement and attic. Get rid of items you don’t need or haven’t used in a long time. Donate useful items to charity and throw away the junk. A clean home, garage, basement and attic minimize the risk of accidents on your property. De-cluttering also gets rid of items that could pose a fire hazard. Once you’ve gotten rid of clutter, look around to see what areas have been neglected in your regular cleaning. Your home may need some deep cleaning before the holidays. Wash dirty windows and curtains to improve natural lighting in your home and eliminate dust that can trigger allergies. Deep clean your kitchen in preparation for hosting dinner parties. Touch up walls with a fresh coat of paint to enhance interior decor. Professional carpet cleaning may also be a project you’ll want to tackle before guests arrive. Carpet cleaning services done by a professional remove dirt, grime and stains, so your carpets look like new. With all sorts of guests coming, be sure to find a company that uses products safe around children and pets. Professional carpet cleaning will bring out the beauty in your carpets and create a pleasing, healthy environment for your family and guests. Go through your kitchen to see how you fare with plates, cups, glasses and silverware. You may have chipped mugs, cracked plates or rusted silverware that need replacing. Make sure you have nice serving plates and bowls for holiday meals and sufficient Tupperware to store leftovers. Attractive place settings will make your meals that much more enjoyable. Once the kitchen is in order, make your holiday food list and do your shopping. Now would be a good time to pick up that cookbook you’ve always wanted along with holiday tablecloth, napkins and other accessories you may need for your festivities. If you’re having relatives stay in your home, prepare the guest room in advance so it will be nice and cozy upon their arrival. Make sure guest bedding is freshly washed and bedroom furniture is free of dust. Your guest should also have sufficient lighting for night time reading. Placing fresh cut flowers on a nightstand next to a plate of homemade holiday cookies is sure to make your guests feel at home. 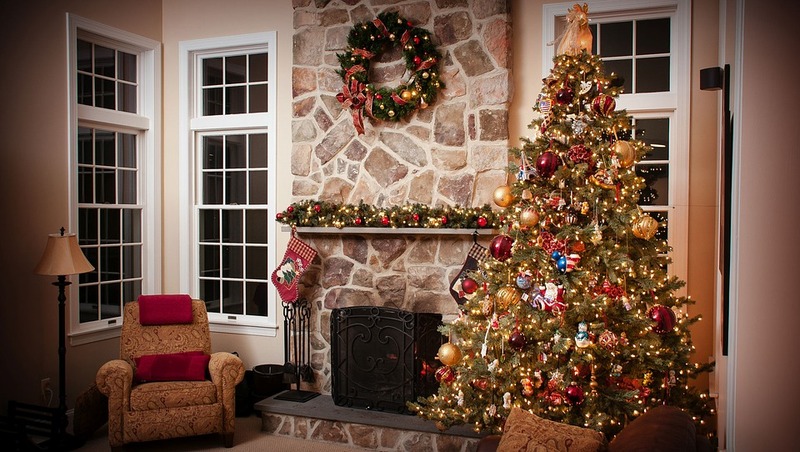 Decorate your home in advance to give it a festive touch. Your holiday décor will set the tone for holiday gatherings. By starting early, you can take time to create an attractive and pleasing environment without feeling stressed or rushed. With so much on your plate for the holidays, you’ll be glad you took care of your home’s décor way before your visitors arrive. In addition to preparing home décor, you may need to replenish basic essentials such as toothpaste, shampoo, toilet paper, hand soap and other toiletries before guests arrive. Organize your toiletry cabinet or closet to make it easy for guests to find what they need. You should also have a stock of paper towels on hand for both bathroom and kitchen use. Make your home more welcoming by sprucing up your entrance-way and keeping up with your landscaping. Your grass should be cut, hedges trimmed and plants looking their best when your guests arrive. If you plan to entertain in the back yard, make sure your patio and landscaping is up to par to receive holiday guests. Through advanced planning and the help of some professional cleaning, your home can be in tiptop shape for the holidays. When you decide on having a new home built, or want to renovate an older home’s exterior, it’s vital that you take into consideration the many different roofing materials you have at your disposal, the different companies you can choose from, and the overall experience you decide to go with. The roofing materials vary greatly from product to product, but in general, there are a few top choices to choose from, depending on your circumstances such as where your home is located, the age of your home, and a few other factors. Is the roofing material heavy? Will specific framing be required to support it? Does the material come in a variety of different colors and designs? Will the roofing material I choose meet the different fire codes in my area? Will the roofing material constitute any special installation processes or ongoing maintenance? Once you’ve gone through and squared out those questions, you’ll have a more broader idea of what material to pick from. The most often shingle variety found around the country, and for good reason. They are convenient, quick, and affordable to install and replace. They can also be supported with varying additional products such as fiberglass, and comes in a large variety of colors. Unfortunately, the major detractor from these common shingle types is the lifespan, as it is typically significantly shorter than other roofing materials. If you want a more unique look, and tend to favor more Mediterranean or Spanish based housing designs, these tiles will more than likely be a great fit for you. They are long-lasting, fireproof, and very energy efficient. The major reason many homeowners choose to forgo clay or concrete roof tiles is generally because of their initial cost, their high upkeep, and the weight of the roofing materials, which tend to be extremely heavy, and may require additional framing or support on your home. One of the relatively easy to maintain and lightweight options, metal sheet roofing can be a good choice if you are looking for a roof for your vacation cabin or cottage house. The major downside to these roofing materials is the upfront cost. It can lost a long time, and offers eco-friendly opportunities, but the initial cost can be a large deterrent to most. A more traditional, beautiful look, slate material can be the perfect compliment to your colonial or old french style house. 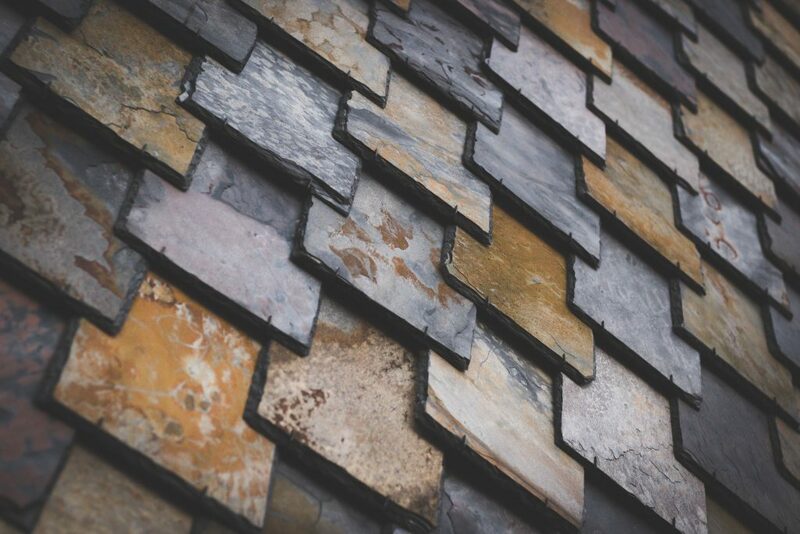 While slate roofing is very durable, fireproof, and can be recycled after its life span, it is extremely heavy and expensive, and will more than likely require additional support and framing for your home. Once you’ve chosen the roofing material you desire, it’s important that you go around a variety of contractors to price out the materials prior to installation to ensure that you are receiving the best available price. If you decide to go with a more expensive roofing material such as slate or metal roofing, this tip is even more vital. Choosing the correct roofing installer can be the difference between a happy ever after ending and a home renovation horror story. A roofing installation company like BNW Builders can be the best option, if you want an experience, professional roofing installation experience. It does not take long for most homeowners to discover that there are multiple benefits associated with a window or door replacement project. Saving money on energy costs and increasing property value are two of the most common reasons a person may choose to embark upon such a project. Substandard windows allow warm air to escape from one’s home during winter, and, not surprisingly, they also allow cool air to leave the home when temperatures rise. This leads to an overtaxed HVAC system, and subsequently higher energy costs. Many homeowners are unaware of the impact of old, leaking windows on their energy bills. For example, most people would never consider allowing a window to remain wide open during frigid temperatures, but many studies show that it only takes four or five windows with small leaks to have this exact effect. Investing in energy efficient replacement windows solves this problem and instantly adds value to the home. Doors also play a role in keeping heating and cooling costs down, as new, energy conserving models are designed to seal tighter and open and close faster, thus keeping hot or cold air inside the home. Doors also add value to a dwelling. Almost anyone would agree that beautiful, modern entry doors boost the curbside appeal of virtually any home. Among all rooms in a home, consumers typically find that renovating a bathroom or kitchen offers the most return on their money. Installing new fixtures, replacing or resurfacing cabinets and drawers, updating appliances or completely changing the style and appearance of a bathroom or kitchen are all projects in which one should not hesitate to invest. Rain forest shower heads, vessel sinks, and skylights are some of the most popular trends in the bathroom remodeling industry. Many homeowners also choose to exchange an old bathtub for one with whirlpool jets or enlarge their current shower and enclose it with glass doors. Kitchens can be revitalized by the addition of a center island, new stainless steel appliances, or recessed lighting, the latter of which has become quite popular for modern kitchens. However, simply refurbishing old cabinets and adding new knobs, pulls and handles is a great option as well. Most homeowners find that few projects add more enjoyment and value to a dwelling than renovating an unfinished attic or basement. Such rooms can be used for almost any purpose when completed. For example, homeowners can use a finished basement or attic as a family room, game room, guest bedroom or simply an all-purpose recreation room for members of the household, relatives and friends. In many cases, insulation and cosmetic work are all that are necessary to make such a room highly usable, after which it can be decorated according to the homeowner’s taste. Virtually everybody know at least one person who has made an addition to his or her home. This may be in the form of a spare bedroom, an office or a recreation room. Although additions are a bit more expensive than other types of renovations, they are a great choice for any homeowner whose budget allows for such a project. Adding a greenhouse or similar structure to the property is also something homeowners should consider, particularly if they own a substantial amount of land that is not being used. Most people find the idea of their own swimming pool appealing. Although this is also a somewhat expensive project, an underground swimming pool not only provides a great recreational area for all members of the household, but it also significantly increases the value of most properties. 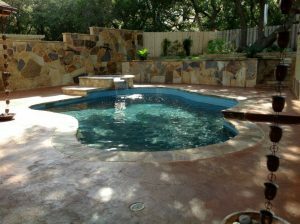 A perfect summer project, an addition of this type can usually be completed quickly when the appropriate pool company is selected. In certain cases, an underground pool can be installed and ready to go in less than a week. 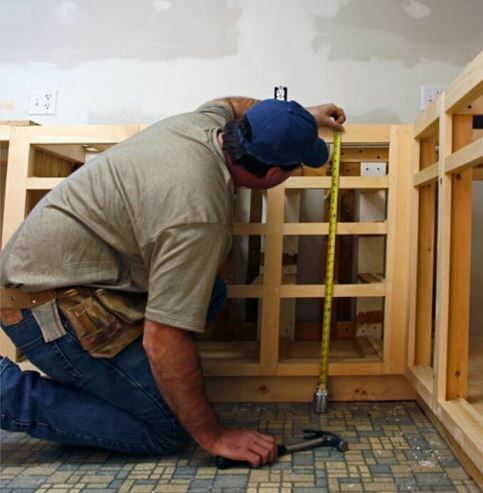 Certain types of renovations are perfect for DIY projects, while others are best left in the hands of professionals. 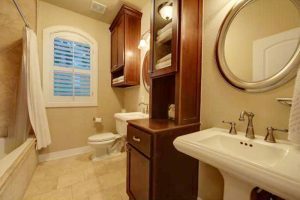 Refurbishing old cabinets, installing a new bathtub and painting or wallpapering rooms are projects that are easily completed by some homeowners. However, completely remodeling a bathroom or kitchen, adding an addition to a home or installing a swimming pool are renovations that require the services of a professional contractor. Asking neighbors and friends for referrals is a great way to find a good home remodeling contractor. It is also wise to obtain multiple estimates from more than one company or contractor before a final decision is made. All estimates should be in writing and all documents concerning the project should be carefully reviewed before a general contractor is selected. Ultimately, renovations add value and beauty to any dwelling for many future years. While connecting a generator to a home’s electrical system is a job for a licensed electrician, it’s good for any homeowner to have a basic idea of what is required, to understand the what and why. Every home has an electrical panel – the hub through which electricity is distributed throughout your home. Normally, utility power enters through the electrical panel, which then distributes power to the individual circuits on your home. In turn, these circuits provide power to systems or areas in your home. While electrical panels are designed to receive energy from utility lines, most are not equipped to receive power from generators. The device serves as the generator’s connection to the home; it’s placed on the exterior of your home, usually close to the generator. The generator will connect to the inlet via extension cord; in turn, the generator power inlet will connect to the electrical panel via wiring on the inside of the home. As mentioned above, homes are designed to receive and distribute energy from utility lines. Utility lines are not designed to receive power from homes, or from the generators attached to them; if power travels in reverse up a power line, it’s called backfeed. Backfeed can place equipment, property, and even life in jeopardy. Interlocks and transfer switches prohibit power from traveling from a generator, through an electrical panel, and up a utility line; they also prohibit power from a utility line from traveling into a generator, which can also can damage. Both interlocks and transfer switches ensure that electrical panel can’t connect to both the generator and utility line at the same time. In the event of an outage, a homeowner will switch the panel’s connection from the utility line to the generator; when power is restored, the connection can be switched back. Hopefully now you understand both the means and the importance of properly connecting a generator to a home’s electrical system. While this task is straightforward for a professional, it shouldn’t be attempted by anyone other than a licensed electrician. Carpets play a number of crucial roles that every homeowner should know about. First, they provide insulation on the floor, which means that floor temperatures are less affected and don’t get too cold. Second, carpets serve an aesthetic purpose as most of them come with colored fibers, which can improve the decor in a room. Third, carpets help to enhance home comfort as they feel great to walk on. Imagine stepping onto a cold hard surface as opposed to stepping onto soft carpet fibers. Obviously, the latter is much more comfortable. That said, carpets usually trap a lot of dirt and have serious effects on health. This includes airborne impurities that may settle on the carpet, pet fur and dander, bread crumbs, dust brought by kids and pets from the outside, food and beverage stains among others. Therefore, proper cleaning of the carpet is needed after every couple of weeks. Professional cleaners have done many similar jobs in the past. They have cleaned all manner of carpets for different types of clients and met their expectations. This means they can get the job done properly because they know the procedures to follow as well as the best types of cleaning solutions and equipment to use on the type of carpet you have. Therefore, they can provide you with the best possible carpet cleaning service. Carpet cleaning can be difficult if you do not have the right equipment. Since buying costly equipment to simply clean your carpet is not practical, hiring carpet cleaners who already have powerful cleaning equipment is a great idea. Most cleaners usually go through some form of training on how to clean different types of carpets, carpet cleaning methods, upholstery cleaning and customer relations among other things. After seeing the type of carpet you have, they will identify the right cleaning method to use and gather the necessary supplies as well as the right cleaning equipment for the job. They can either clean the carpet on-site or take it with them for proper cleaning at their workplace. When you take a DIY approach to carpet cleaning, chances are that you may get mediocre results. First, some of the stains and dirt on your carpet may not come off. Second, you might leave some cleaning chemicals on the carpet, which will worsen the problem. In some cases, you might manage to clean the fibers, but force the dirt and stains to get trapped in the backing of the carpet. While the carpet might look clean, closer inspection will prove otherwise. When you hire a professional carpet cleaner, you can expect them to clean both the backing and fibers thoroughly and provide superior results. Carpets are usually expensive, so you do not want your carpet to get damaged during the cleaning process. Since you do not have any proper training on how to properly clean carpets and care for carpet fibers, taking a DIY approach might lead to damage of the carpet fibers. Professional cleaners know how to clean carpets without damaging the fibers or backing. This means that you can extend the lifespan of your carpet and preserve its quality by hiring a professional to clean it. When you take a DIY approach to carpet or upholstery cleaning, you might have to redo the job after noticing that the old stains have not come off, while new stains have appeared. This is a waste of time. When you hire a pro, you can be assured of getting quality results within a short period of time. Most people usually take a DIY approach to save money. However, the most important concern is getting the carpet cleaned properly. If you have neither the skills, time, equipment or knowledge needed to properly clean your carpet, the best option is to call a reputable carpet cleaning company like American Chem-Dry to help you out. While you will have to pay for the service, you will get great value for your money. It’s easy to take the convenience of electricity for granted; but when we’re unable to use our systems and devices, we’re quickly reminded how much we rely on it. Power outages can offer one such reminder. After days, or even hours, the lack of power can drive us crazy. With that in mind, it’s no wonder that so many households have portable generators. But as many have discovered, a portable generator alone isn’t enough to provide the convenience of utility power. Running extension cords throughout the home isn’t convenient; neither is having constantly having to plug and unplug devices into cords in order to use them. Which leads some to wonder: Can I power my home by plugging my generator into an electrical outlet? The answer is, unequivocally, no. Household electrical systems are intended to receive power from utilities; power moves in one direction – into the home. Plugging a generator into a home’s electrical system, reverses the direction that power is supposed to flow. Power can travel through the home’s system, through the electrical panel, and out into utility lines. This dangerous circumstance is called backfeed. Backfeed power can continue to travel until it reaches a transformer – so called because it transforms high voltage into lower voltages used by household. As power is traveling in reverse, transformers act in reverse as well; low household voltages are converted into high voltage. Backfeed is dangerous because it is unexpected. If a generator is being used because power is out, utility workers will almost certainly to attempting to correct the issue. Lines that should be voltage-free and safe to handle can be made to carry thousands of volts – putting any utility worker at severe risk of electrocution. Feeding power to a household system requires either a breaker interlock, such as the ones from Generator Interlock Kit, or a transfer switch. These devices are designed to prevent backfeed, and to keep generator power contained within the household system; they do so by switching the electrical panel’s connection from power line to generator, or vice-versa. Switches prevent the panel from connecting to both sources at once. There’s only one way to handle electricity, and that’s safely according to code. If you want to connect a portable generator to your home’s electrical system, ask your local electrician to install an interlock kit or a transfer switch. If you’re considering replacing the windows in your kitchen, you ought to know that some types of windows are better suited for the kitchen than others. In the kitchen, ease of opening and closing is an important factor when choosing your type of window; providing ventilation and fresh air is another important function. You also need to consider whether or not your windows deliver the comfort and energy-efficiency you need. Here we’ll look at the kinds of replacement windows that offer the kitchen functionality you need to make life a little easier. Kitchen windows tend to be harder to reach than most other windows – they’re located higher, behind sinks and above countertops. In areas like these, commonly-used double hung windows can be difficult to operate. Windows that can be easily opened or closed are better choices for kitchens. Two examples are casement windows and awning windows. Casement windows are hinged on the left or right, and open outward; most are designed to open with a few turns of a crank. If the casement window sash moves outward when open, it will also be especially easy to clean. Like casement windows, many awning windows can also be opened with a crank; these windows are hinged at the top, and swing upward. Both casement and awning windows offer superior ventilation to most other types of windows. Both of these windows have one sash; when that sash is open, the entire window space is open, allowing a free flow of air. Casement windows are particularly effective at bringing in fresh air, as their side-opening sashes help to guide new air into the room. Windows with two sashes, such as double-hung or sliding windows, are never fully open to the outside; one or both sashes will always be positioned over part of the window opening. Want to learn more about the strengths and weaknesses of each window type? 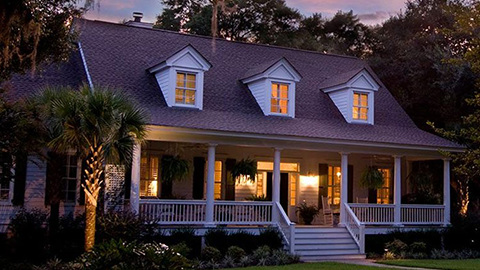 Richmond Window offers excellent descriptions of the different types of replacement windows. Today’s windows are more efficient than ever, and any replacement window should yield energy savings. Many of the gains in efficiency are the result of improvements in glass coatings. Perhaps you’ve run across the term, low-e glass. Windows with low-e glass coatings allow can selectively reflect away infrared light rays (or heat). This is an excellent quality if you have to run the air conditioner constantly in the summer, or if your kitchen gets particularly warm. Replacement windows with low-e glass are also able to trap heat. If your kitchen is particularly cold in the winter, new windows can help your kitchen stay a little cozier. In addition to keeping your kitchen comfortable, more efficient windows ease the burden on your heating and air system and yield year-round savings on your energy bills. As much as Rainier Chem-Dry loves helping their clients, they’re not shy about sharing tips that help customers keep their own carpets clean. The folks at Rainier want people to take pride in their carpets, and that requires quickly and effectively dealing with potential stains. With that in mind, here are their suggestions for dealing with some of the most stubborn common stains. Pet Urine – There’s a reason why Rainier Chem-Dry has special cleaning techniques for dealing with pet urine: it’s one of the biggest enemies of a clean, fresh-smelling carpet. In addition to leaving stains, pet urine can also penetrate deep into the padding where it’s very difficult to remove. That said, homeowners can effectively deal with pet urine – if they respond properly, with the right cleaning solution. While Rainier Chem-Dry offers its own pet urine solution, you can also find effective cleaners at larger pet stores. Many of these cleaners employ enzymes that feed on the ammonia crystals and organic matter that stain carpets and give urine its offensive smell. Through careful application of the cleaner and patient blotting with a clean, white towel, you should be able to keep a pet accident from leaving a stain or a scent. Red Wine or Juice – This is another tough one. Even if you act quickly, it can be difficult to prevent a stain from a wine or juice spill. Here’s what you’ll want to do: Mix one tablespoon of dish soap and one tablespoon of white vinegar into two cups of warm water. Using a white cloth, gently blot your cleaning solution into the carpet to dilute the stain and lift it away. Don’t rub, and don’t scrub, as this can make the stain bigger. Ink – This one is liable to require assistance from our friends at Rainier Chem-Dry or your local carpet cleaning pro. We suggest using just enough rubbing alcohol to wet the stain, and carefully blotting the stain as long as you continue to pull color up from the carpet. If you stop pulling up color before the stain is gone, the earlier you call a professional, the better. Blood – Here’s what we suggest: If the blood has already dried, gently use a steel brush to loosen the stain. Then mix one tablespoon of dish soap into two cups of cold water. Using a white cloth, gently blot your cleaning solution into the carpet to lift away the stain. If this method fails, try again with a mixture of one tablespoon of ammonia and a half-cup of warm water. Coffee – Remember the solution we suggested for red wine? It’s equally appropriate for dealing with coffee spills on your carpet. Again, you’ll want to mix one tablespoon of dish soap and one tablespoon of white vinegar into two cups of warm water. As always, you’ll want to work gently and patiently, taking care not to do anything that will cause the spill or stain to expand. Even the best advice and quickest action can’t defeat every stain. 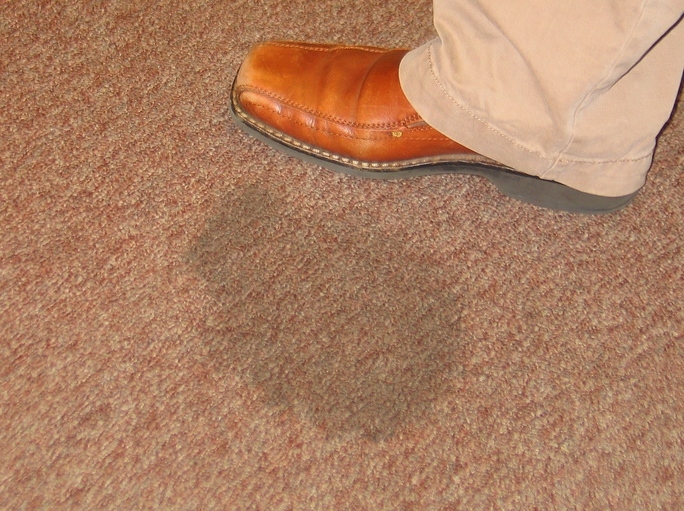 If you try and fail to remove a stain, call your local pro sooner rather than later. This your give your carpet cleaning technician the best-possible chance of completely removing the stain. Are you interested in renovating your kitchen, but not sure where you should start? It’s an understandable predicament. Most people start with the kitchen when looking to renovate their home. Research shows that most families spend a huge amount of time in the kitchen, and with all of the appliances, gadgets, and necessary functional space, it’s a necessity when it comes to renovation projects. Unfortunately, having so many different areas to focus on all at once can be overwhelming, not to mention expensive. All of these projects will dramatically improve the look and usefulness of your kitchen. Many of these projects can be fairly expensive, but will absolutely pay off in the long run. If budget is an issue you can always look into thrifting for used pieces, or upcycling if you’re crafty. As far as useful storage space goes in the kitchen, cabinets are one of the most important areas. While almost all kitchens have some sort of cabinetry installed, that doesn’t necessarily mean that it always looks nice, or is the most functional set of cabinets. Modern cabinets have an incredibly wide range of useful tricks for added storage, organization, and ease of use. Most older cabinets just have shelves to aid with organization, but are often deep and require you to dig around inside to find what you need, which we all know can be a pain. Lower cabinets can be especially irritating because in order to see what’s in the way back you have to get way down low. More modern cabinet systems make extensive use of sliding rails so most low shelves can be pulled out most of the way, if not completely, for easy viewing and selection of whatever it is you need. 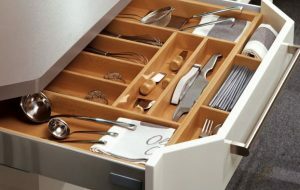 Many companies will work with you to create specially organized drawers that you can divide up any way you like. For people who need everything organized like me, this is incredibly useful. Probably the most exciting part of installing new cabinets is getting to customize the look of your new kitchen. In most cases, cabinets take up the vast majority of wall space in the kitchen, so you can completely redefine your space with a new set of cabinets. You can go from the drab, spartan cabinets that were there when you moved in, to magnificent custom cabinets in any color or design style you could possibly imagine. The only drawback when it comes to replacing cabinets can be the high price tag. Generally cabinets have to be made custom to fit your home, which can drive the price up a bit. That being said, getting custom woodworking projects, like cabinets, allows you to get them made precisely to your specifications. So, while cabinets can be pricey, it’s usually well worth it to be able to have creative control over the design and create your own custom organization solutions. Appliances are what make the modern kitchen work. It would be very difficult to function without a refrigerator, freezer, oven, microwave, and dishwasher. In addition to those main players, there are a whole handful of secondary players as well. When it comes time for kitchen renovation, it’s generally a good idea to replace all of your appliances. Many people, if they can afford it, opt to get a whole set at the same time, so everything matches aesthetically. One nice thing about replacing appliances is the fact that you can replace them one at a time over a period of months. It’s not necessary to buy all of your new appliances at the same time and rack up a huge price tag all at once. It’s pretty common to buy them gradually over the course of a year or so. 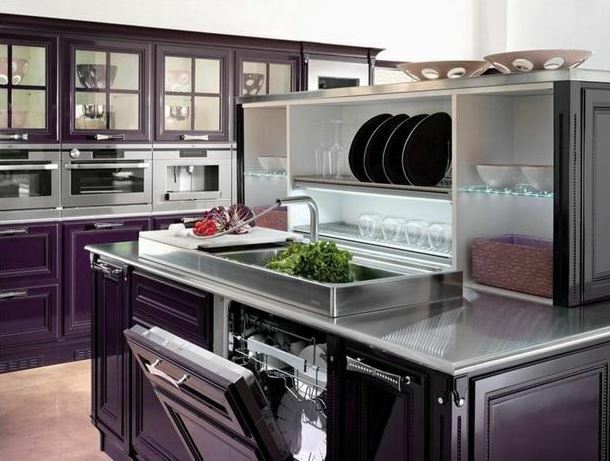 Having a modern set of appliances can increase the functionality of your kitchen in a big way. Many appliances now come with an Energy Star rating, meaning they can save you money on utilities by using less energy overall. In addition to saving you money, new appliances can also save you lots of time when it comes to cooking and cleaning in the kitchen. If you’re anything like me and still have a wood-paneled microwave from the 80’s, it might be time to move into the future and upgrade to some more recent appliances. Replacing your kitchen’s countertops often goes hand in hand with having new cabinets installed. It’s usually easier to do these at the same time, since they are almost always two halves of a whole. You want to make sure your new countertop matches with your new cabinets and vice versa, and your lower cabinets are most likely what is going to support your new countertop. Most homeowners these days opt to go with granite or engineered quartz for their replacement countertops. 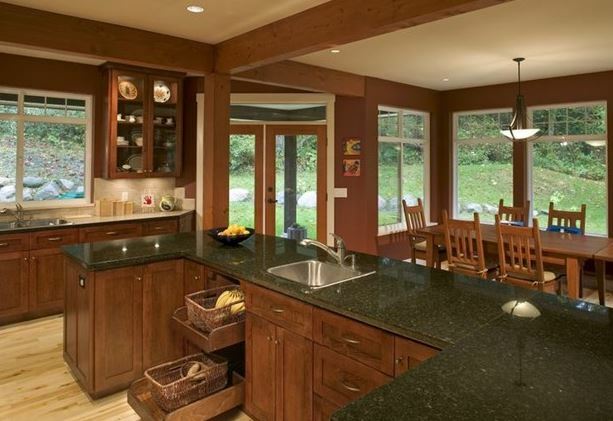 Stone countertops are very popular these days, due to the many benefits they provide. Firstly, they last forever, and I’m not really exaggerating when I say forever. They’re incredibly hard, which means you don’t have to worry too much about scratching, melting, or denting them. With proper sealing, they are very easy to sanitize and keep germ-free. 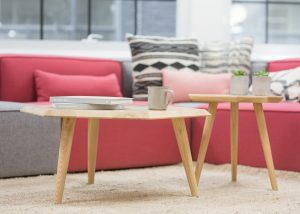 In addition to all those benefits, they come in a spectacular array of colors and patterns, so they’re easy to match with the décor of your home. 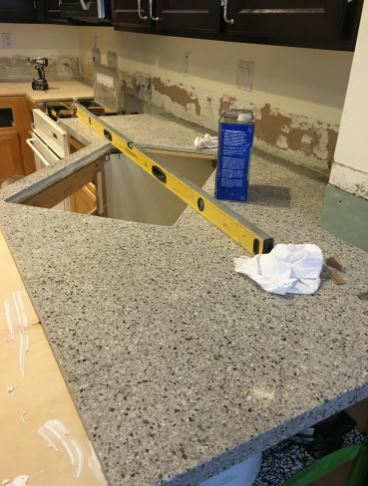 If you are thinking about installing granite countertops on new or existing cabinets in your kitchen, make sure to either tell your carpenter (for new cabinets), or check with the granite installation crew to verify that your counter can support the immense weight of a granite or quartz slab. It’s important to choose a reputable granite supplier and installer to take care of your new countertops. You want to make sure the job gets done right, because there’s no going back once it is installed. When renovating the kitchen, many people choose to get their flooring replaced as part of the process. If you’re spending the money, time, and effort to have your appliances, cabinets, and countertops replaced, you probably don’t want that dingy laminate floor that was there when you moved in taking away from the look of your new kitchen. 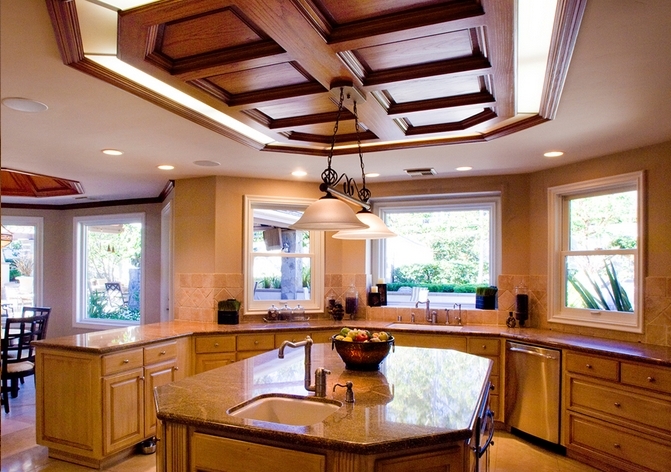 The most popular floor options for kitchens today are hardwood, stone tile, or laminate. Personally, I recommend hardwood, as it lasts longer and looks nicer (to me) than other flooring options. Laminate tends to get grimy after a while, and lose its luster, and stone tiles can be very expensive. That being said, it all depends what kind of look you are going for with your kitchen remodel. No matter what you’re trying to accomplish with your remodel, it will probably benefit from an upgrade of your current flooring. This one is entirely up to you! There are many resources out there for kitchen remodels that will show off a myriad of styles you can attempt to recreate, or just use as the inspiration for something entirely different. The possibilities are truly endless if you’re doing a top to bottom remodel. Since your countertops and cabinets will most likely be custom, you are completely in control of what the final look will be. Renovating your kitchen can be a very rewarding process, and give your home a more personalized feel. Unfortunately, it can carry a pretty hefty price tag with it. Many homeowners choose to do these upgrades in waves so they aren’t paying the whole amount all at the same time. These basic guidelines will hopefully give you some direction when it comes to starting your own remodel.